The Delton Real Estate sale price per square foot has moved back down to the $240 range in June of 2013 after a strong finish to 2013 when Delton sold for $265 per square foot. 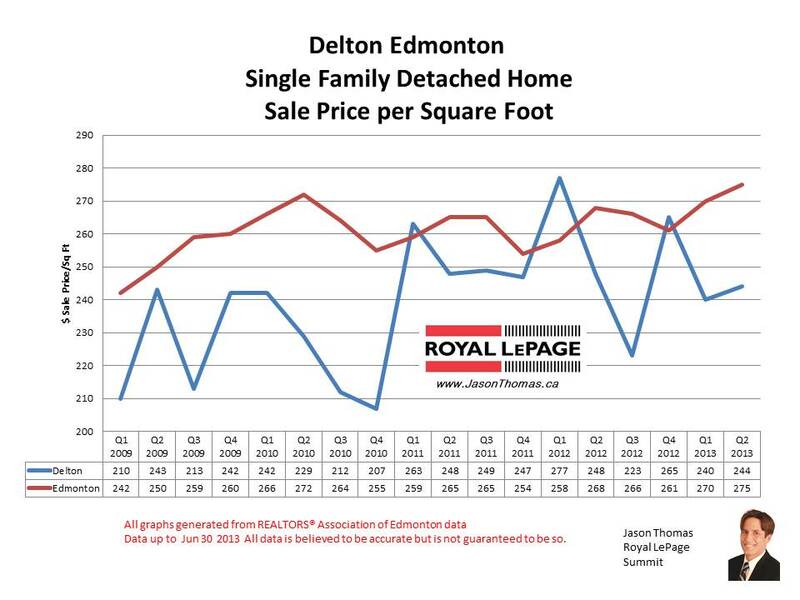 Delton tends to sell for less than the Edmonton average selling price per square foot, and Delton manages to sell for higher than the Edmonton average only for a single quarter and then it recedes. The highest selling price for a home in Delton in 2013 has been $289,000. The average time to sell a house in Delton in 2013 is 30 days. That is faster than the Edmonton average days on market of 41 in 2013.